This matzah cover is part is the Galilee Silks Collection. 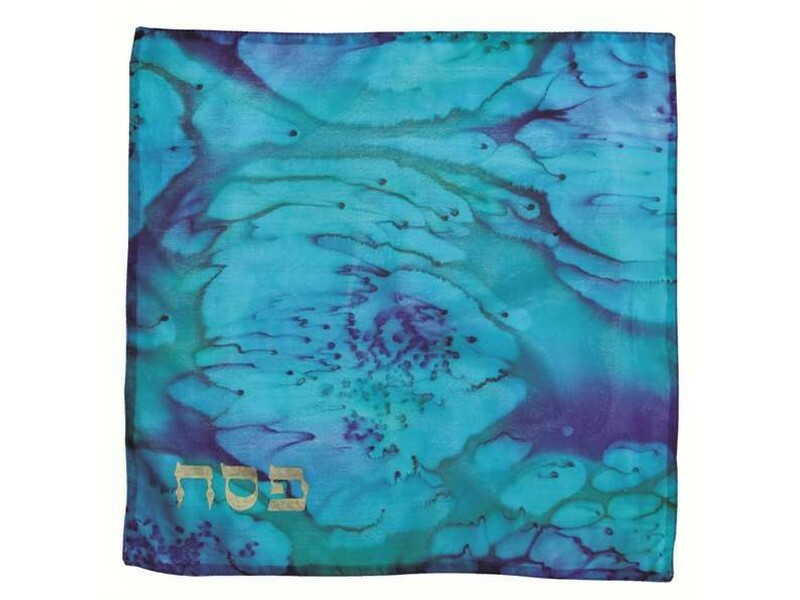 Hand dyed and made from raw white silk, this square matzah cover is dyed with an artistic blend of blue and turquoise colors that will add beauty to any table. The Hebrew word Passover, “Pesach”, is painted on the bottom left of the matzah cover. Galilee Silk is located in the Beit HaEmek kibbutz in northern Israel. Founded by Shlomit Azati, Galilee Silks has become the leader in creating many different Judaica related with raw white silk. All articles produced by Galilee Silk are hand painted and finished.